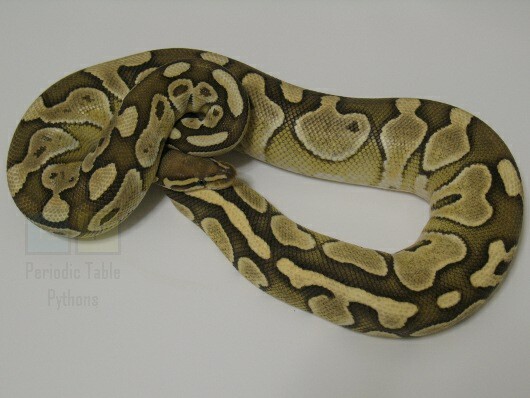 The Snake Rhodium is much like her father: she's sweet and will sit still for long periods of time. She fits right in with all my other short-bus snakes, though: When she hatched, she didn't make the hole big enough to pull her head back into the egg when frightened, so whenever I would look in on her, she'd try and try and try to pull her head in, to no avail. It made me giggle. The Element Rhodium is a platinum group (PG) element and is often found mixed with other PG elements like iridium, osmium, and platinum. It is also a fission product of Uranium-235.